Not A Trick In Sight – Just Treats…! 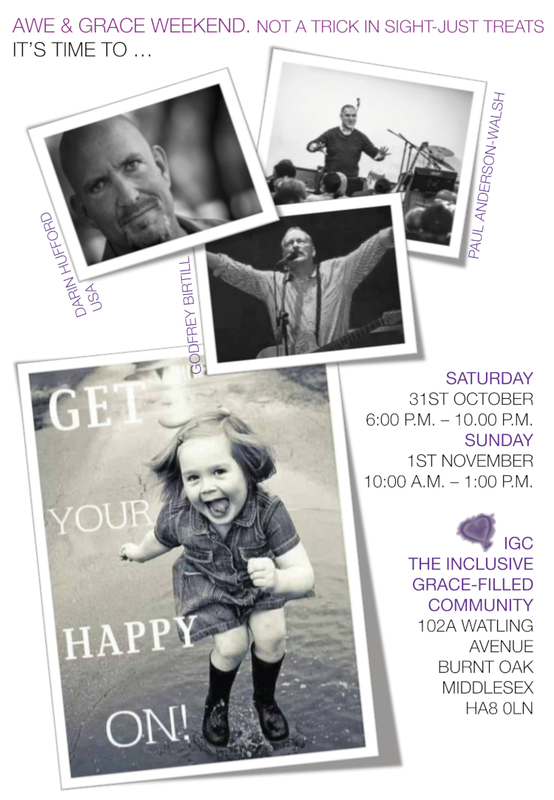 IGC is proud to be hosting the Awe & Grace Weekend on Saturday 31st October and Sunday 1st November 2015. Speakers include Paul Anderson-Walsh and Darin Hufford and worship is to be led by Godfrey Birtill. Join Paul Anderson-Walsh, Darin Hufford and Godfrey Birtill as we “Get our happy on” This one will do what it says on the tin. Come expectant.